Brand-new stories of witches and witchcraft written by popular female fantasy authors, including Kelley Armstrong, Rachel Caine and Sherrilyn Kenyon writing in their own bestselling universes! These are tales of wickedness... stories of evil and cunning, written by today's women you should fear. Includes tales from Kelley Armstong, Rachel Caine and Sherrilyn Kenyon, writing in their own bestselling universes. 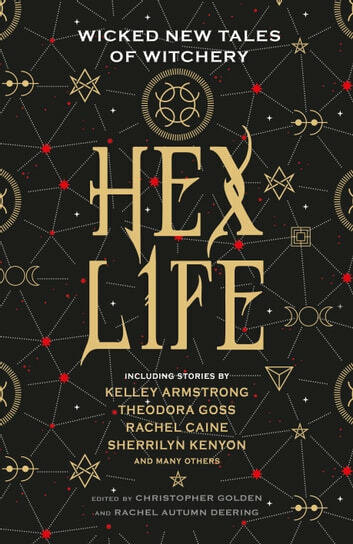 Hex Life: Wicked New Tales of Witchery will take the classic tropes of tales of witchcraft and infuse them with fresh, feminist perspective and present-day concerns--even if they're set in the past. These witches might be monstrous, or they might be heroes, depending on their own definitions. Even the kind hostess with the candy cottage thought of herself as the hero of her own story. After all, a woman's gotta eat.